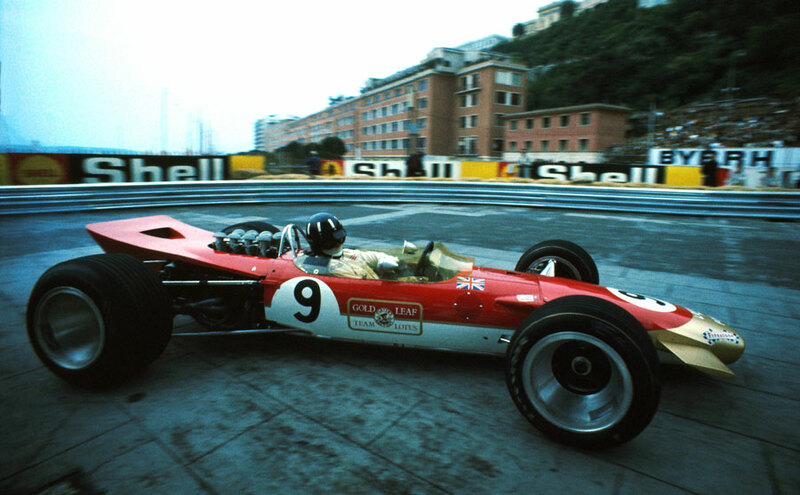 Graham Hill showed why he was known as Mr Monaco with his fourth victory at the Monaco Grand Prix, silencing those who dismissed his win in the Spanish Grand Prix a fortnight earlier as a one-off. It also put him ten points clear of defending champion Denny Hulme in the title race. Despite the Lotus team being, as Hill wrote, "in despair" after the deaths of Jim Clark and Mike Spence, it still unveiled the new 49D in Monaco, and the press were immediately impressed. As well as having Jackie Oliver as his team-mate, Hill had revised wedge-shaped bodywork and a front wing - it was the start of "aero" in Formula One. Jackie Stewart was still injured so one of Matra's rising Formula Two stars, Johnny Servoz-Gavin, took his place. The race was staged against a backdrop of massive political unrest in France, and threats of strikes and power cuts led to organisers loaning generators from a local film studio to ensure the 130-yard tunnel was not plunged into darkness during the afternoon. Hill and Oliver were joined on the front of the grid by Servoz-Gavin, but at the chicane on the first lap Oliver was taken out by Bruce McLaren. It set the tone for the day at the end of which only five of the 16 starters were still running. Servoz-Gavin piled into a barrier on the third lap, Pedro Rodriguez slammed his BRM into a wall and a string of others suffered mechanical faults. Richard Attwood, an Old Harrovian who had won the Monaco support race five years earlier, stayed clear of trouble and harried Hill relentlessly for three-quarters of the race. Hill broke the lap record three times but Attwood then went even faster. "I didn't want anything to go wrong or break," Hill said afterwards. "I knew exactly where Attwood was and I wasn't going to let him win." In the end the gap was 2.2 seconds with nobody else within four laps. Hulme picked up two points for fifth despite being forced to stop for seven laps with a broken half-shaft. Like Ludovico Scarfiotti, who slid his Cooper into a barrier, he was able to resume after a long delay, but at one point only three cars were still out on track.